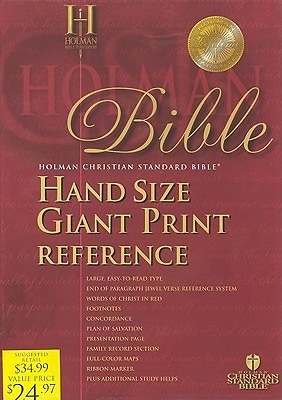 Easy to carry and read, this hand-size Bible has the same quality features as the full-size editions and integrates cross references at the bottom of paragraphs rather than in the center column. Known as the Jewel Verse Reference System, this is the most conveniently arranged Bible reference system available. Other features include 10.5 point type size, concordance, eight full-color maps, gift box, and more.